BARAKURA English Garden is the first authentic English Garden in Japan, which was opened at the beginning of summer 1990, following on the ideas of Mr. Hohei Yamada. Mr. Yamada was the founder of the company, and an avid follower of trends in “Arts and Crafts”. 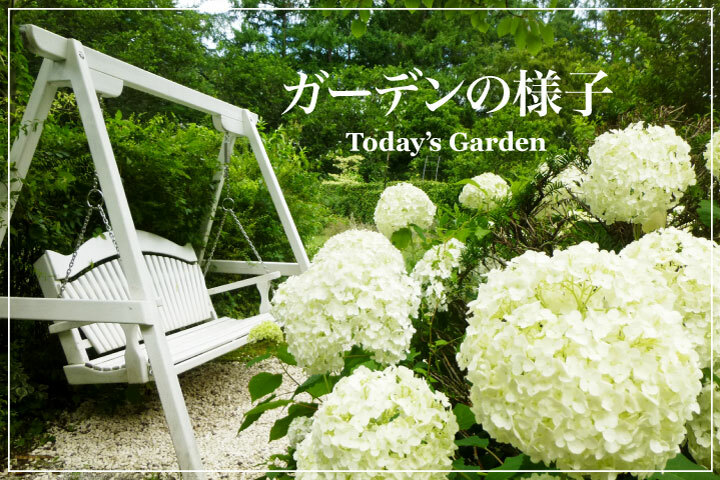 Present owners are Mr. Eugene Yamada (president) and Miss Kay Yamada (director, horticulturalist and garden designer). BARAKURA English Garden covers an area of 10,000 metre square and was constructed in collaboration with Mr. John Brookes (professional British landscape designer), Mr. E. Clark (stone mason) and other gardeners. Many thousands of plant and flower species were imported from England when construction of the garden first began, and domestic plants were added to complement the progress of the landscape designs. The garden now has about 5000 varieties of plants including 180 varieties of old roses, making a spectacular display viewable throughout the year. These are accompanied by many trees and shrubs including; Smoke trees, Golden Acacia (The BARAKURA Power Spot), Silver Birch, Tulip Trees and Horse Chestnuts. The garden was introduced in the highly acclaimed British periodical “Curtis’s Botanical Magazine” as one of the world’s foremost English gardens, and it was also reported on USA TV programs and in many newspapers and magazines. The garden now has over 200,000 visitors per year.